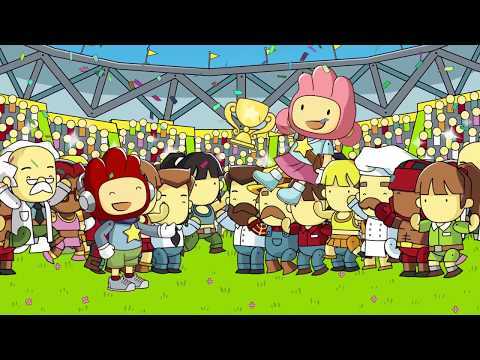 It’s Scribblenauts, party-style! Use your imagination and go head-to-head in the ultimate multiplayer showdown! Enjoy a party-style Scribblenauts experience, conjuring from over 35,000 objects from the vast Scribblenauts dictionary to outsmart your opponent in over 25 mini-games! Play solo or with up to 4 of your friends in Showdown Mode and imagine your way to victory through card-based strategy and creative skill. Face off against a friend or the CPU in Versus Mode. Go nuts in the Sandbox - Create Anything in 8 different Sandbox levels and watch what happens, solo or with a friend. Create your own Scribblenaut by unlocking hundreds of wacky costume pieces and vehicles.